This is just an update on my Fravia post. I learned through Katherine Noyes of TechNewsWorld (just now since I’m still busy moving to a new house and fixing things up) that the legendary reverse engineer have passed away at the age of 56. 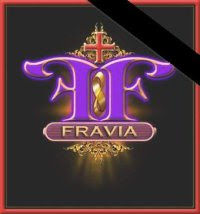 Fravia's sister posted the sad announcement including some touching message for his brother. "Fravia passed away on Sunday, 3rd May 2009"
"I wish the world's surface could shrink and I would suddenly find you by my side. Imprinted by your broad and lively mind, and by your even broader and generous heart, I am most lucky - I had the luck to be Your Sister"
Indeed Fravia was very generous in sharing to the whole world a great wealth of information. He has been a huge motivation for those of us who seek for deep knowledge in computing. According to Jon Lech Johansen, another well-known hacker, Fravia’s site was a goldmine during his education as a reverse engineer. Although Fravia is gone, his selfless dedication in teaching both the art and science of reverse engineering will never be forgotten, and his legacy will live forever. It really sanddens me knowing that one of the pillar of reversing had passed away. I will forever be indebted to Flajar Ravia. R.I.P my great teacher. Not only your technical discipline will be remembered, your philosophy of life will be imprint in our memories. someday i will be with him, on the otherside. R.I.P my mentor, you will be always in my memories forever and ever.